Putting their best foot forward, the Aber Falls Whisky Distillery team from Abergywngregyn in North Wales, have become the first to distil at 1,085 metres above sea level by producing the first gin ever to be distilled at the top of Wales’ highest peak, Snowdon. With consumer thirst for ingredient provenance still growing, the team hand-picked botanicals from the mountainside on their hike to the top, to create a one-off, limited-edition spirit which will be auctioned off in aid of Wales Air Ambulance. With only one bottle ever to be produced, the aptly named ‘Summit Gin: Mountaineers Cut’, was distilled using a one-litre traditional copper pot still and features sloe berries and heather, on its list of native botanicals. After a two hour distillation, Aber Falls Managing Director James Wright, presented Wales Air Ambulance with the gin with money raised from its auction going towards providing a free, life-saving service for the critically ill and injured of Wales. 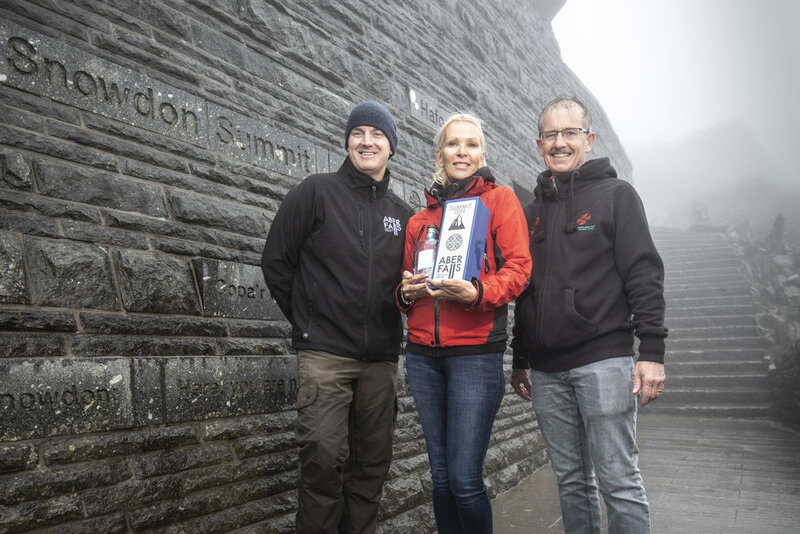 The distillers were also joined at the top by Bartender of the Year and fellow Welshman Alex Mills, who created a signature ‘summit’ serve inspired by Snowdonia, called 'A'r ben y brig', giving walkers and visitors on the day the opportunity to enjoy sipping on top of the world. The activity, made possible thanks to a local collaboration between Aber Falls Whisky Distillery and Snowdon Mountain Railway, reflects the distillery’s continued commitment to collaborating with and supporting local organisations. James Wright, Managing Director at Aber Falls Whisky Distillery, said: “Snowdon is one of Wales’ greatest attractions, and as far as backdrops go, I don’t think you’ll find one more impressive than this. By drawing on a cocktail of local botanicals from the mountainside, this gin really reflects the region of North Wales – you can’t get more authentic than that.